Every day, we hear of another conversation that has been tapped, we hear of people saying they have been spied on, not just by the NSA but by others too! Do you ever wonder what it would be like to tap into a conversation? What it would be like to spy on another person, say your partner or spouse? Well, now you can do it without having to buy any expensive tracking software. Thanks to a feature in the iOS firmware, you can spy on your spouse’s messages in complete secrecy. 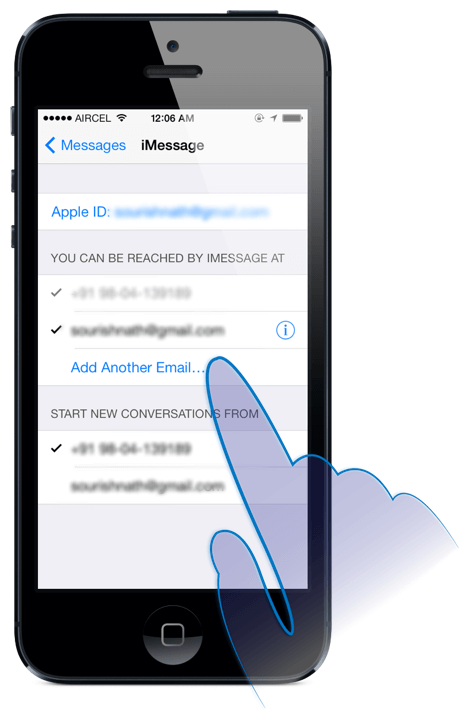 Provided both phones are listed in the same Apple ID, any messages sent to your partner’s number will now be sent to you; try it by sending a message to the phone and it should appear in your phone – if it does, its all set up correctly. It might sound like a fun thing to do but we need to tell you that we do not condone the act of spying on another person. Not only are you invading their privacy, it could be highly embarrassing for you too. Any questions, let us know in the comments and follow us on Facebook for more tips. Be warned most of these so called hackers are imposters, I have been ripped off twice already, thankfully my friend gave me a reliable contact, they work with discretion and deliver, they do all sort of hackings, (unrestricted and unnoticeable access to your partner/spouse phone and PC). i will prefer to let their services speak for itself. you can contact them through their mail account or the links above. they will also help you to hack and change university grades. that easy. Make sure to send the social media [ fb / twitter etc ] link of the person you want to spy, and they can easily hack them. I have used PhoneModo links quite a number of times and he has never disappointed me.He does all types of mobile hacks,get unrestricted and unnoticeable access to your partner/spouse,anybodies facebook account,Email,Watsapp.Text messages. Getting the job done is as simple as going to the links above and stating what you want to do. You need a reliable and honest hacker PhoneModo can help you with hack issue he has once help me get proof on my husband new iphone on his cheating activities on whatapp skype facebook viber. He’s fast and time conscious, You can count on them. Please, just a little more clarification. My past relationship thought me a lot never to trust any one. well i don’t want to say much i just want to thank PhoneModo.com for the help and how you helped me catch my cheating husband in the space of 24 hours.